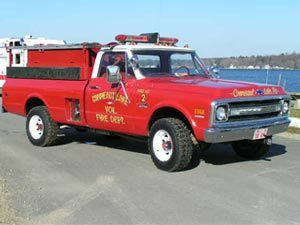 Unit 704 is a 1970 Chevrolet 4X4 equipped with 250 gallon tank and 300 gpm pump. Used primarily for brush fires and occasional traffic details. Every department has one of these "old standbys".